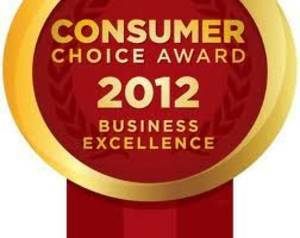 At the 2011 Toronto inaugural breakfast of the Consumer Choice Award, Jiffy Self Storage was congratulated for being chosen again by Toronto consumers for its excellence in business. The event was held on Tuesday, March 11, 2011 at the Westin Prince Hotel, North York, and many of the recipients of the award in various categories were represented there. Consumer Choice Award Toronto breakfast was a big success. Allan Barkin, President of Jiffy Self Storage, a 15 year veteran of the award, made his remarks about the award and the effect it had on Toronto consumers that decided to store at Jiffy Storage Toronto facilities. Principals of the Consumer Choice Award (CCA), Jack McFadden and Marcel Sborlini, explained how the new business listings in the Consumer Choice Award website will help Toronto consumers find a business to purchase products or services that are highly rated in their field by Toronto consumers. Smart Toronto shoppers should be on the lookout for CCA fliers to get first crack at finding Consumer Choice business winners when 100,000 fliers will be distributed to Toronto residents. Established in 1987 for promoting and recognizing business excellence, Consumer Choice Award is the only organization of its kind in Canada determining the best companies in their areas of expertise. Polls are conducted by Leger Marketing, an independent polling organization whose results are statistically accurate.